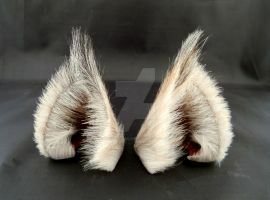 do not walk quietly alone in the woods while wearing these. nothing good can come of it. Are they for sell? or would you be able to make some more? I love them! but, don't they fall back? no they dont. they weigh very little. you can jump around and they wont move. My dads afraid Imma get shot in my wolf costume ._. Awesome antlers by the way! !